All boots are not created equal. Like motorcycles, we can always find a reason to have one more in the garage. Of course, if we had to have one, the touring genre usually fits the bill for being pretty good at a lot of things. Touring boots are generally weatherproof, comfortable, and somewhat understated to work well in a variety of situations. 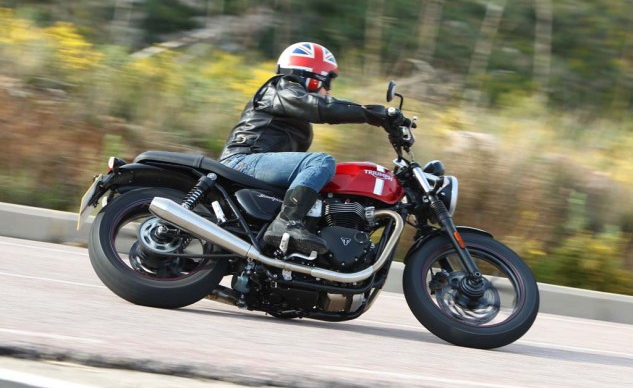 We looked at the brands and offerings currently on the market and put together a list of some of the best motorcycle touring boots we could find to bring you a one-stop peek into what makes these boots stand out. 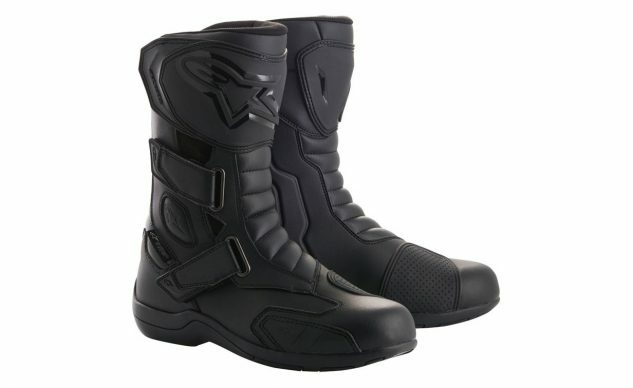 The Radon Drystar boot from Alpinestars is a subtle technical touring boot complete with the Drystar waterproof liner to keep you warm and dry. The outer of the boot is made up of microfiber rather than leather to hold up better in adverse weather conditions and provide better abrasion resistance than leather in a lighter package. In terms of protection, the Radon features a TPU shin plate, a TPR panel on the lateral toe, internally reinforced toe box and heel counter, dual-density foam protectors on both sides of the ankle, and a reinforced shank through the footbed. To allow for a custom fit the Radon features two Velcro straps around the lower and upper ankle with the top closure using a Velcro fold-over type design. For just under $200, the Radon Drystar is a lightweight, waterproof offering that will keep you going mile after mile. The Cortech Turret WP uses a three-layer HiPora waterproof, breathable membrane in addition to water-repellent leather, wear-resistant nubuck leather, and a PU upper to provide an all-season boot for your touring needs. 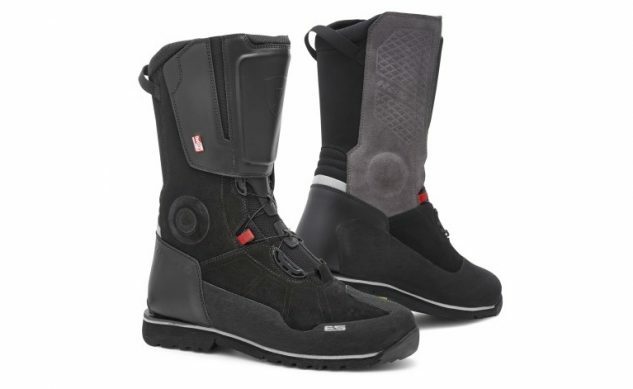 Alloy buckles and a hook-and-loop Velcro calf closure provide a secure fit while the gusseted liner provides waterproofing all the way to the top of the boot. The TecnoGI thermoplastic heel cup and toe cap provide welcome protection while high-density foam and molded nylon protects both sides of the ankle. The Turret also uses an “unbreakable, anti-twist” molded nylon midsole to reinforce the bottom of the boot. Reflective 3M accents can be found on the heel for extra visibility, and the sole is made of oil- and gas-resistant vulcanized rubber. The Cortech Turret WP is a great option at a great price. 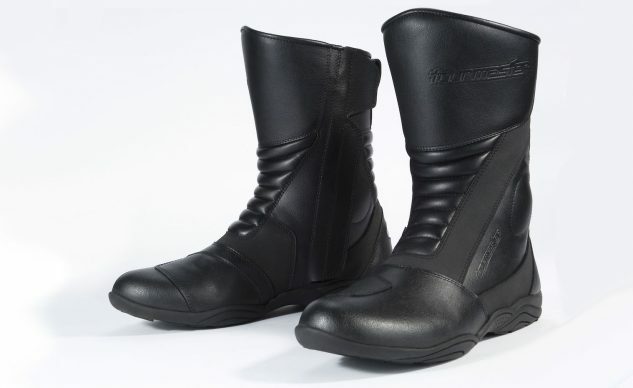 The Dainese Dinamica D-WP is the shortest sporty offering on our list simply included for variety. Not everyone wants a knee-high. The Dinamica uses Dainese’s D-WP waterproof breathable membrane to keep your feet warm and dry in less than desirable riding conditions. The Dinamica uses a very sturdy heel cup and toe box for crush protection as well as a reinforced shank through the bottom of the shoe and ankle cups to protect your malleoli. A single zip closure in the rear makes this riding shoe easy to slip into. Unlike many of the blacked-out offerings on this list, the Dinamica comes in three colors: black with red accents, black with yellow accents, and of course, murdered-out black to the floor. If you’re looking for waterproof short and sport, look no further than the Dainese Dinamica D-WP. 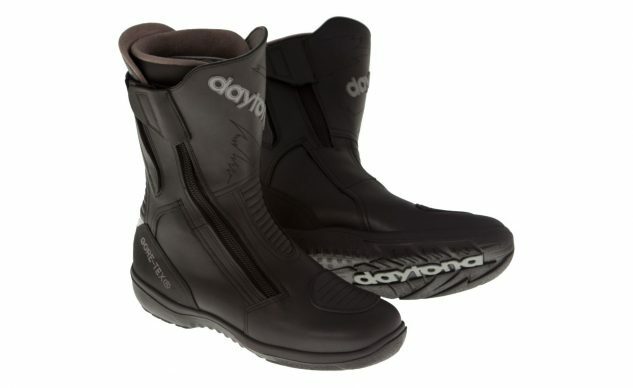 Daytona boots may not be as well known here in the states as Dainese or Alpinestars, but the German company has been producing quality boots by hand since 1968. The Daytona Road Star GTX is made of hydrophobic cowhide with a Gore-Tex membrane baked into the construction. 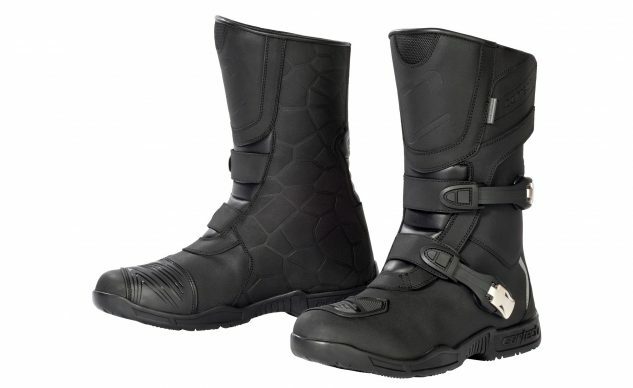 Velcro closures and adjustment panels offer a wide range of fitment and the two zip fasteners on either side make donning these boots easy after you’ve set the Velcro where you want. Ankle protection is provided by plastic and open-cell foam as is the shin, while a plastic reinforced inner sole with a steel inlay makes for a sturdy sole. 3M Scotchlite heel reflectors are incorporated and non-slip outsole gives good grip. A billion euro motorcyclists can’t be wrong (this number has not been substantiated). 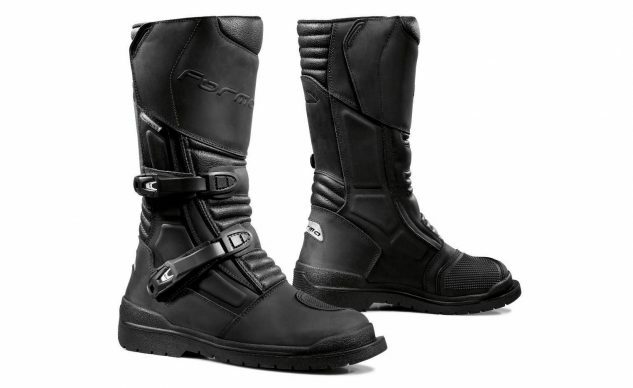 The Forma Cape Horn are excellent all-rounders from the Italian brand. Drytex waterproofing provides a wind and waterproof liner while the outer is made from full-grain oiled leather. The touring anti-slip sole is reinforced with a steel shank and the ankles and shins are padded for extra protection as well. Fit is easily tailored with the GH buckles and Velcro collar closure, and the antibacterial insole keeps these boots from getting funky. Should you find yourself kicking rocks, the Forma Cape Horn also comes with a steel toe cap in the box that you can easily install. To top things off, they come with a 12-month warranty. With the Icon designers hailing from the northwest, they know a thing or two about rain. The Joker WP is constructed from full-grain leather backed with a breathable waterproof liner. A waterproof YKK zipper on the back of the boot allows easy on/off. The shin and sole are reinforced and the ankles are backed by D3O to offer plenty of protection. These boots are not only available in all black, but can also be had in a wonderful light brown. The REV’IT! Discovery OutDry boot is a juggernaut of all-weather touring technology packed into a substantial touring boot. REV’IT! says the Discovery OutDry is made for motorcyclists who need the stability and safety of off-road boots, the features and user-friendliness of a touring boot, and the comfort of a trekking boot. The Vibram outsole provides excellent grip while the multi-density EVA midsole absorbs shock. The ratcheting BOA closure system allows users to fine tune the fit while saving weight. Thermoplastic reinforcement can be found in the heel cup, toe cap, and shin guard while SEESOFT protectors are are also used throughout the shin and tongue area. The sole also features an integrated shank for torsion resistance and extra support while standing on the footpegs. REV’IT!’s OutDry waterproof breathable membrane is bonded to the outer material to achieve waterproofing without adding an extra bulky layer. The outside of the boot is made up of 500D Cordura, full grain cowhide, and suede leather. Inside of the boot, a silver-ion antibacterial 3D mesh liner is used to enhance breathability and keep your boots smelling fresh. The anatomically shaped ankle cup and footbed provide all day comfort as does the comfort collar on the top edge. They’re not cheap, but if you plan on spending a lot of time in the saddle, these boots will pay for themselves. 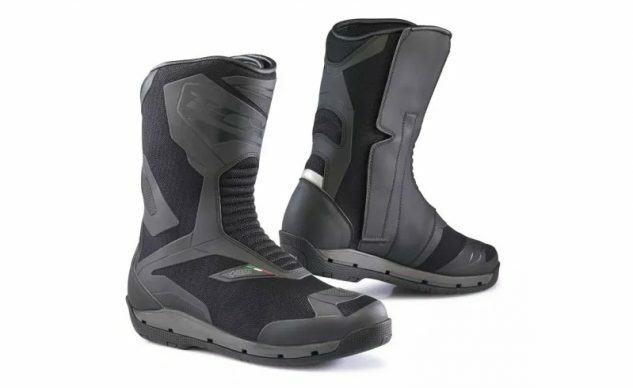 Sidi makes a wide range of great boots, whether you’re looking for race boots, off-road boots, or in this case, touring boots. The Sidi Canyon Gore-Tex combines microfiber and split grain leather with a Gore-Tex membrane to offer a protective weatherproof touring boot. The Canyon contains internal heel, ankle, and toe protection. The Velcro and ratcheting strap closures provide a positive comfortable fit while the lugged outsole dampens any vibration while providing excellent grip. Check out our full long-term review of the Sidi Canyon Gore-Tex here. 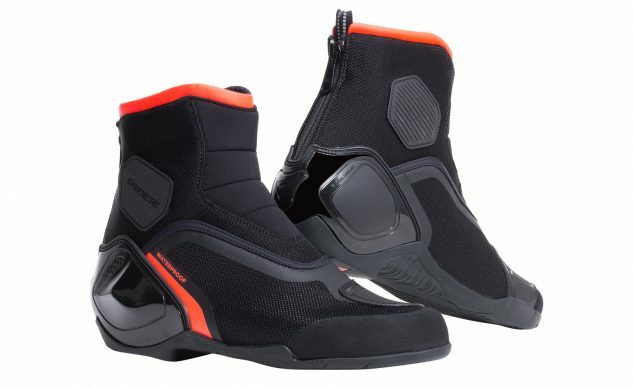 The TCX Clima Surround brings new technology to the table to provide motorcyclists with a whole new perspective of what a waterproof boot can be. 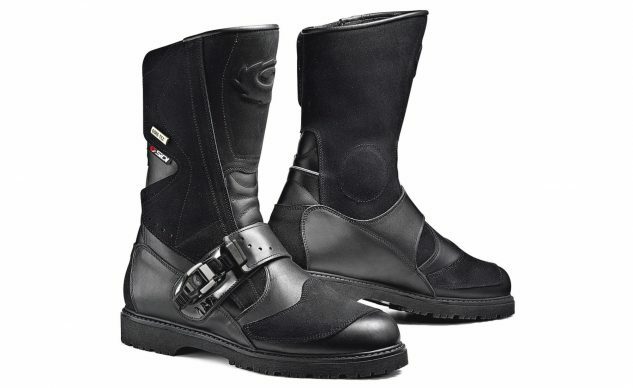 The Surround technology was developed in coordination with Gore-Tex to add a level of breathability not yet seen on any other Gore-Tex motorcycle boot. The unique sole construction features openings at the side of the sole which channel airflow underneath the Gore-Tex lined footbed to allow the bottom of the foot to better breathe and shed heat through the ventilation grid in the midsole where it can then be expelled through the side ports. Reinforced protective panels can be found at the ankles, shin plate, and heel cup while the outer material is made of abrasion resistant Cordura and microfiber panels. If you constantly find yourself with sweaty feet even in Gore-Tex lined boots, the Clima Surround may offer the extra breathability you need. The Tourmaster Solution 2.0 is just that, a budget-friendly solution to your touring footwear needs. The Solution 2.0 keeps you protected with a molded nylon shin and ankle guards as well as thermoplastic heel cup and toe cap. The HiPora liner, also found on the Cortech boots, is going to keep your dry and comfortable no matter what is happening outside. An auto-lock zipper and adjustable Velcro flap keeps the Solution 2.0 closed up tight and the orthopedically designed sole will keep your dogs from barking day in and day out.